The Bloustein School has launched a new big data master’s program and is recruiting its first class of students to start in fall 2019. 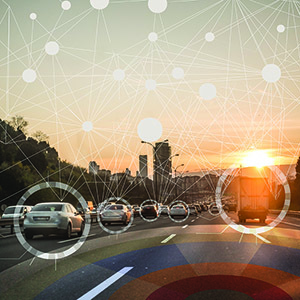 The Master of Public Informatics program (MPI) will provide the vehicle for educating students in the competencies needed in the field of big data: context, statistics, programming, data management, data analytics, visualization, spatial analysis, applications and the integration of these skills. 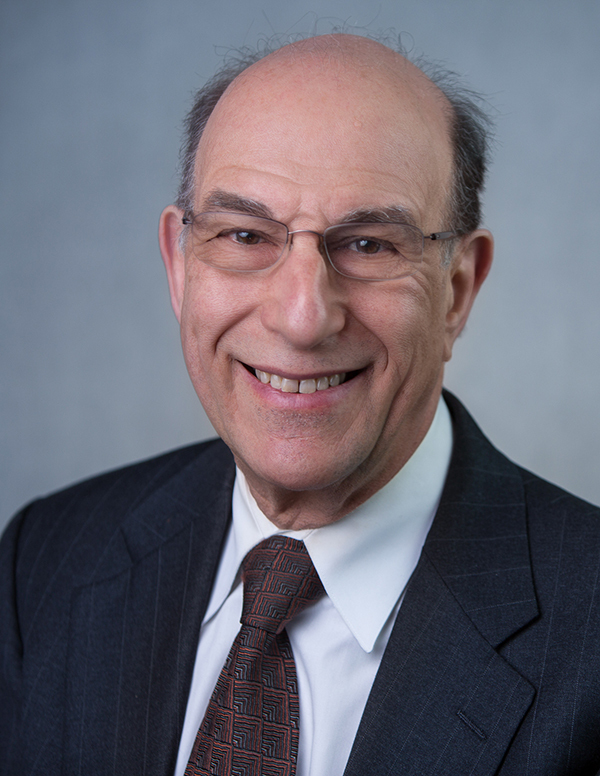 “The limiting factor to the successful use of big data is the skill set of traditionally trained analysts and administrators who are not familiar with advanced computational tools and data management techniques,” said Frank Felder, Ph.D., Research Professor and Director of the new Public Informatics program at the Bloustein School. The new master’s degree program anticipates that full-time students may complete the 36 required credit hours in 18 months (three semesters). It will serve as a complement to the school’s #5 ranked graduate urban planning program and highly regarded public policy program, both of which added urban and public informatics concentrations to the already rigorous curriculum. Public informatics applications include all of the school’s major areas of study, including the realms of transportation, environmental management, urban design, mobility, social policy, public management and operations, public health, health administration, and community engagement and empowerment. As society generates more and more data, not only is there a need to determine how it can be used to predict desired outcomes and support decision-making, but also how to use that data efficiently and ethically. 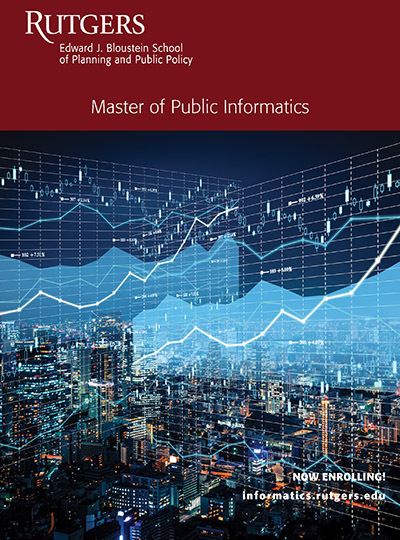 The Master of Public Informatics program is suitable for students with undergraduate degrees in any field, though applicants must demonstrate competency in one or more programming languages and skills in data management via coursework, work experience, or by examination. In addition to a baccalaureate degree from a nationally accredited school/university and the application, students must submit official transcripts from all institutions, three letters of recommendation, a resume/vitae, and an electronic personal statement. The GRE general test required of all applicants; GMAT substitute accepted in lieu of GRE. International students must take appropriate TOEFL or IELTS unless student has received another U.S. based degree. The application deadline for those wishing to be considered for merit based funding awards is February 1, 2019.